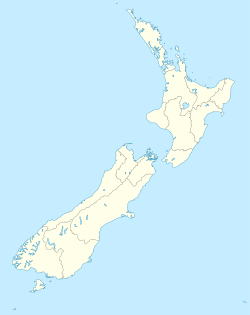 Pukehina is a township located in the Bay of Plenty, New Zealand, which consists of a white sandy beach, an estuary, farms and residential houses. Activities that take place there are surfing, windsurfing, kite surfing, boating and farming. There is a campground located at the south-eastern end of the beach. Further to the south-east there is an extensive area of Māori land, which is not part of Pukehina Beach itself. Otamarakau (Māori: Ōtamarākau) is a beach and community in southern Pukehina. Pukehina Beach is located twenty minutes drive away from Te Puke, the Kiwifruit capital of New Zealand. The drive to Pukehina is scenic and it is an ideal place for tourists that want to stay at a beach that is more secluded and uncrowded than many others in New Zealand, with easy access for boats via the boat ramp that leads into the estuary. On the other side of the estuary is Little Waihi and it is a short drive from there to Maketu. To the north-west, across the estuary entrance and around the point is Newdicks Beach. To the east-north-east, out to sea, lies Whakaari / White Island, an active volcano and peak of a 1,600m submarine mountain, which is visible during fine weather. Ōtamarākau Marae and its Waitahanui a Hei meeting house are a traditional meeting place for the Ngāti Mākino hapū of Ngāti Mākino and Ngāti Te Awhe. This page was last edited on 29 March 2019, at 17:37 (UTC).